Luxury and Elegance are the defining elements of this beautiful unit. 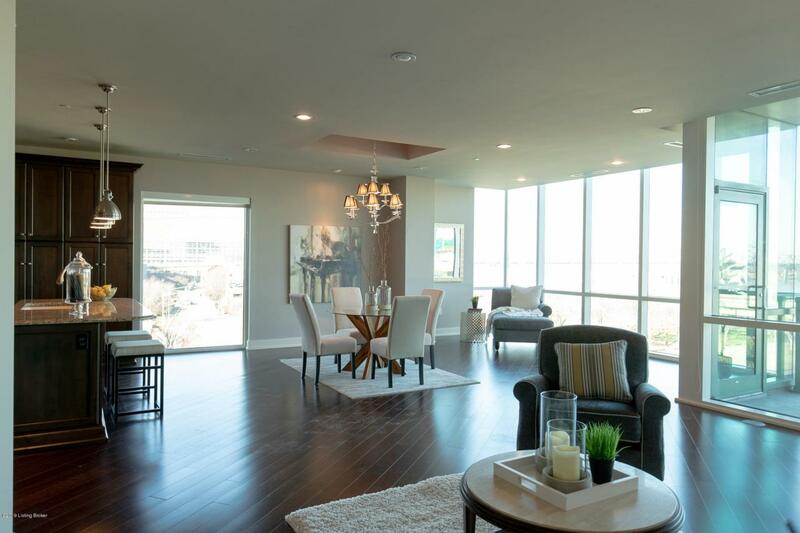 Featured is our Waterfront Park Plc Condo with gorgeous Ohio River and spectacular Louisville Skyline view. This trendy 2 bedroom, 2 full bath features hardwood floors, and beautiful custom cabinetry throughout. Kitchen brings granite counter tops both in prep area & center island. All stainless steel appliances remain. The entire unit is one big open space which takes full advantage of the breathtaking views. There is a huge Master bedroom suite with attached master bath. In addition you are treated to a spacious 2nd bedroom which also brings a full bath. Enjoy all the amenities this building has to offer including rooftop pool with river views, fitness center, 24 hour attended lobby, Club rm, party rm, yoga & bikestorage. This unit also comes with 2 parking spaces on the same level. Again, luxury is key and this unit brings you all the urban luxury one can only dream of.